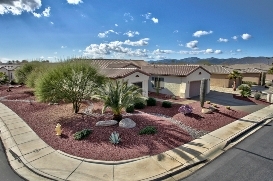 Located approximately 35 miles from Downtown Phoenix, Sun City West is “Arizona’s Finest Golf Retirement Community”. With 10 golf courses, Sun City West is the premier golfing community of Arizona. Sun City West is a self-contained and self-governed community with recreational activities, shopping and churches. Along with a nationally ranked hospital, Banner Del E. Webb Medical Center, pet parks, recreation centers, volunteering and a variety of entertainment options, Sun City West is Arizona’s finest example of retirement living.